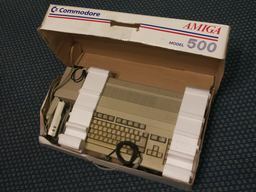 The Commodore Amiga A500 was my first computer. I still have it, although it hadn't been in use since the mid-90s until 2019, when I finally embarked on a project to revive it to rescue some data from floppy discs. This was made possible after my brother bough me a "Gotek"-branded USB floppy emulator for Christmas 2018, as the original internal drive is faulty. 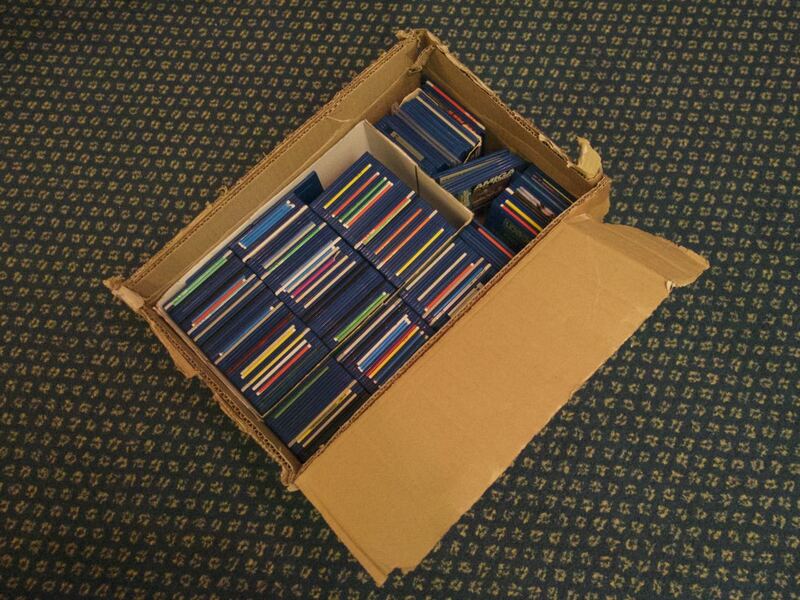 In 2015 my Dad found a box of our old Amiga floppies in their attic. I hope to read many of them and get their contents online. 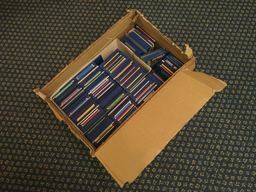 For now I've just catalogued them on the floppies page. Step one is to cross-check my list against online lists of available disk images, such as those maintained by the Software Preservation Society. Asides from the commercial discs, I am particularly interested in reading my old data discs, containing childhood drawings, etc. My plan is to attempt to read them using a secondary floppy drive connected to the A500's parallel port, booting the machine via the Gotek. I already have one of these, but I don't know if it works. It was rarely used at the time so the odds might be good. I still have a large-ish collection of Amiga magazines from the 90s, mostly "Amiga Format" magazine but a few "Amiga Power"s and miscellaneous others. archive.org has various collections of scanned magazines. These are the magazines only, not the coverdiscs: but the might exist in another collection. This looks interesting; as does this.